but also serves to isolate the arm from the turntable. 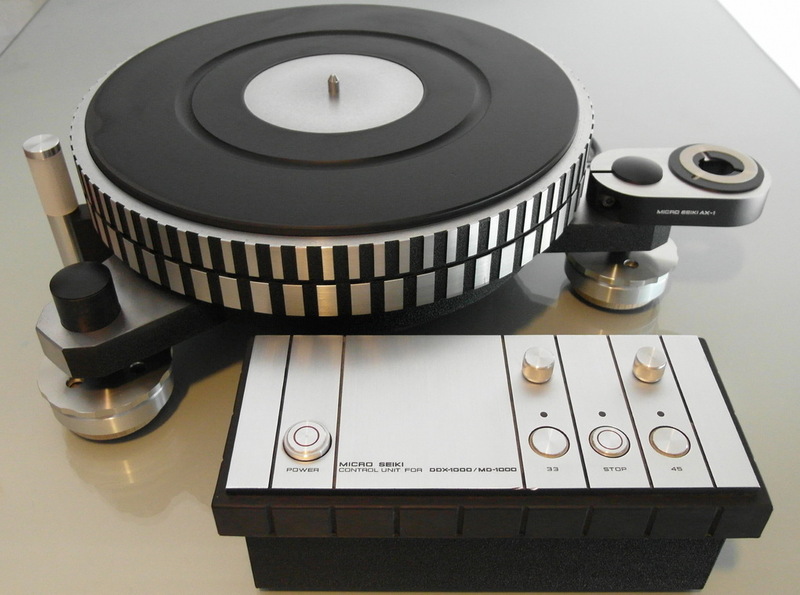 Up to three high quality arms may be mounted simultaneously, and tonearms are interchanged easily and quickly. The power supply and transformer are completely isolated in a separate control unit, thus eliminating any feedback or hum interference. These unique design concepts have been exhaustively researched and tested by our engineers. All the manufacturing and assembly stages conform to the highest quality standards in order to produce this definitive turntable system. The result is surely that the DDX-1000 is one of the finest turntables available with absolutely superb mechanical stability and precision.